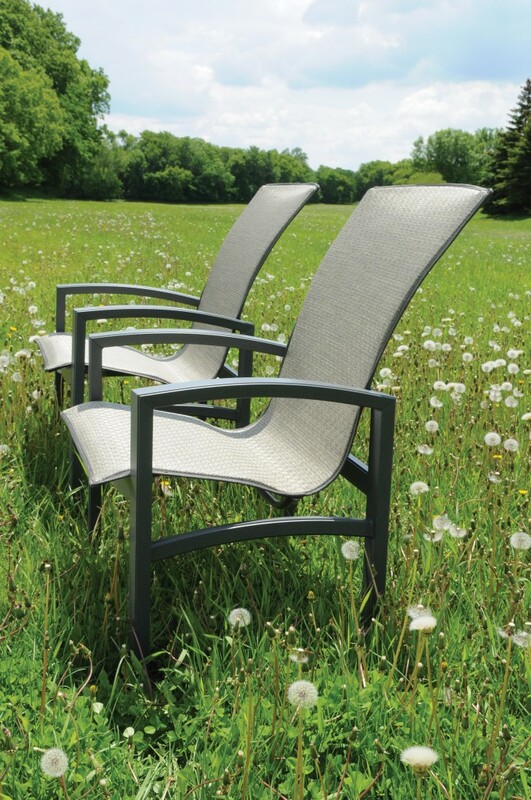 Specializing in re-slinging, re-strapping and refinishing all types of outdoor furniture. We create new custom slings for sling-back chairs, ottomans, chaise lounges and more. We re-strap those broken and yellowed vinyl straps. We repair umbrellas and other accessories. With over 50 vinyl strap colors and over 100 fabrics to choose from, you can give your back yard or patio a new look. Sandblasting, welding and powdercoating can make your metal furniture furniture frame look brand new again. If you’re just looking to restore your pieces or create a custom look for you backyard or patio, we can help you choose the right combination of materials and colors to make your vision come to life. We offer pick-up and delivery, fast turn-around and professional service. If your patio furniture is looking a little sad, pick up the phone and give us a call. We are located at 2400 West Belleview Ave. in Litteton, Colorado in the Ackerman & Sons Furniture Workshop building. We carry hundreds of different parts for almost every type of furniture - clips, end caps, feet, inserts, etc. We have on-site welding and metalworking available in case your frame is cracked or broken. If your chair, table, chaise or umbrella needs any type of repairing or a part, Open Air Chair Repair can handle it. 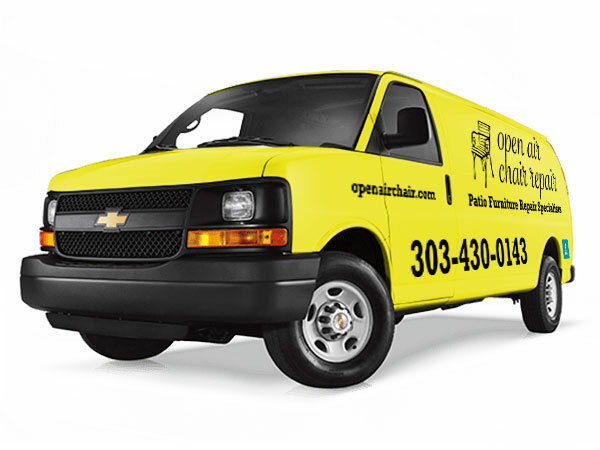 We would be more than happy to pick up and deliver your patio furniture during the week. From a single chaise lounge to multiple patio sets, we are ready to come to you. For remote locations including Summit County, Vail County, Castle Rock, Colorado Springs and beyond, give us a call for a quote for pick-up and delivery. We are very busy starting in late February and early March every year. Late fall and winter is the best time to get your order placed so your furniture is ready for those beautiful spring days in Colorado. Call or come in today to get started.